The fist ever Grand Slam was the Wimbledon Championships of 1877, which was won by Britain's Spencer Gore. Since then, a vast majority of the Grand Slam titles have been won by players belonging to United States of America, Great Britain and Australia. In the Open Era of tennis which began in 1968, players belonging to 20 different nationalities have won a Grand Slam title. USA dominates the list with 52, which is more than twice as many as the next best country - Sweden. Winning a Grand Slam (any of the four in fact) amounts to fulfillment of a lifelong dream for most players. But there are some who make winning Grand Slams a habit, and go on to win numerous Slams. Widely considered by tennis pundits to have the best service return that the game has ever seen, Andre Agassi dominated the tennis scene in the 1990s and early 2000s along with his fellow American and rival Pete Sampras. Agassi is the only man in tennis to achieve the 'Career Super Slam', as described by Sports Illustrated Magazine. That involves winning all 4 Grand Slams, the Olympics gold and the ATP Finals. 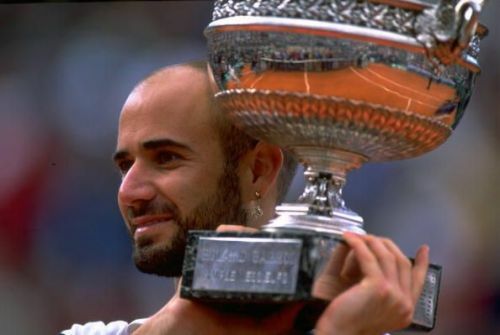 Agassi won 8 Grand Slams including 4 Australian Open titles. His last Grand Slam came at the 2003 Australian Open where he beat German Rainer Schuttler in the final. Tennis and table tennis player Fred Perry was a three-time Wimbledon champion in the 1930s and one of Britain’s greatest ever sportsmen. Winning 8 Grand Slams and six doubles titles, Perry was a household name in the 1930s. Between 1934 and 1936, Perry consecutively won all three Wimbledon Championships and retained the title as the world’s number one ranked men’s tennis player during these years. At 26 years of age, Perry became the first man to win all four Grand Slams with his win at the French Open Championships in 1935. Perry is also recognized for his tennis-style clothing range he launched in 1952. The Fred Perry Clothing line is popular even today. 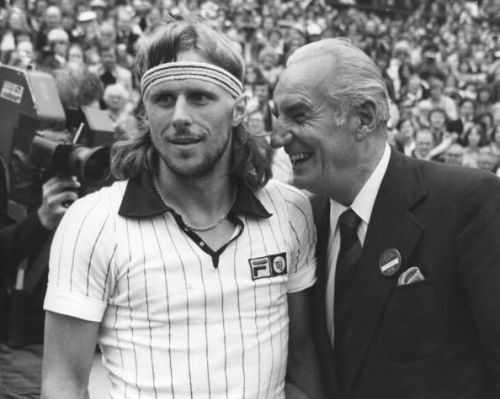 From 1936 to 2013, Fred Perry was the only British player to have won Wimbledon.